Live Life Divinely | Living a life more divinely everyday! Living a life more divinely everyday! A doctor’s visit the summer of 2014 had confirmed what my head and my body had already known but my heart was not ready to receive…The heavy periods, feeling tired and craving ice cubes… that I had fibroids. Now if you are not familiar with what fibroids are, fibroids are muscular tumors that grow in the wall of the uterus. As I am not a medical professional, this link includes a very informative fact sheet about what fibroids are http://www.womenshealth.gov/publications/our-publications/fact-sheet/uterine-fibroids.html#a . You see, this wasn’t my first time dealing with fibroids. I had previously had a myomectomy, fibroid removal surgery, in 2009. That surgery resulted in the removal of a fibroid the size of a grapefruit from my uterus. This time around, after an ultrasound, it was discovered that I had 7 fibroids. Not wanting to rush, my doctor and I decided it would be best to control the bleeding and growth of the fibroids with birth control pills. However, this plan did not work. While on the pill I had breakthrough bleeding / spotting that lasted for 3 months. I was constantly told that my body was getting adjusted to the pill and that the bleeding would stop. But I finally had had enough. Enough of coming home daily falling asleep as soon as I got home, feeling uncomfortable, and being too drained to go out with friends . I needed to get my life back. I returned to my OB/GYN to further explore my options! It was then that I decided that it was time to have the myomectomy. As much as I tried to prevent a second surgery, I knew I couldn’t continue to function in this way… it had to be done. My OB/GYN referred me to a surgeon who specialized in women’s reproductive systems. I met with him and we set the date just before Christmas! In the end my doctor removed 12 fibroids. This was no surprise to me as I was told by my surgeon that when they perform the surgery they usually find more fibroids than what were initially detected thru the ultrasound. I took the necessary time off and really took the time to heal and rest my body! Today, about 4 months later, I am so happy that I had the procedure done. I have regained my life and my health! Have a knowledgeable doctor. Luckily my surgeon is one of the top doctors in our area. He is very experienced and truly knows his stuff! His experience and knowledge made me feel that he was very capable to perform my surgery. Get a second opinion… or a third opinion. Always explore your options. Every surgeon does not have the same surgical experience. If you do not like what a surgeon says they can do… go see someone else. Check with your insurance to make sure you will not have to take on a lot of debt to have the surgery. You may have to pay off your deductible or pay some money up front. It is better to know this ahead of time so you can be prepared financially. Take time off to heal. It is in your best interest to REST after the surgery. Work can wait. Family members will have to step up. You may be eating delivery because you get tired standing for a long time. But take the time to heal. Your body will thank you in the end. You will need to have some help while you heal! Maybe this will be your parents, family or spouse. Make sure it is someone who is VERY patient because you may not be able to do very much for days after the surgery. Make the necessary health/stress/exercise changes. Stress, weight and food choices are leading causes of fibroids. Talk with your doctor about any necessary health changes you may need to make. Your goal is to get healthy. Don’t concern yourself with the cut or wounds you will have after the surgery. Heal, get healthy & get your life back. And have some babies!! Make sure your doctor does a follow up. The follow up is to make sure you are healing properly, to check for scar tissue that may have formed after the surgery and to check your fallopian tubes. And one last thing!! It is very important that you get checked early. I began to see symptoms about 3 months before I made my first appointment with my OB/GYN. I have heard stories of women who have waited years before they finally got checked. It is important that if you in fact have fibroids you and your doctor have a plan of action, either to “wait and see” or to remove them. I would encourage you not to go this alone and to seek an experienced professional’s opinion and guidance. I really hope my experience has touched and helped someone! If you have any other questions please feel free to comment below! Ever since I was a little girl I can remember getting up on Sunday mornings eating breakfast and clipping coupons with my mother. Once the coupons were clipped they were placed in a cute blue wallet holder with a pair of scissors on the front. Inside there was an accordion file that divided the coupons into sections; produce, cleaning products, frozen foods, meats & etc. Fast forward to today and I am now repeating the same learned habits of budgeting that I was taught many years ago! I now have my own subscription to my local newspaper and every Sunday I am up rummaging through the paper looking for the next best deal. Instead of a cute little coupon wallet I have adapted a 3-ring binder (see above picture) that is equipped with baseball card sleeves to hold my coupons divided into sections (Beauty, Dog products, Home Care, Food) to stay organized while shopping! In the front pockets I keep the sales flyers of the stores I am going to visit. I have even recruited some of my coworkers and friends to go shopping with me after work or on the weekends! And inevitably someone will comment “How do you coupon” or “Where do you get coupons” and “What can you save money on”! So the purpose of today’s post is to address some of those couponing questions and even some of the myths about couponing! Maybe after reading this I hope this will encourage you to start your own coupon saving habit! Where do you find so many coupons? My favorite place to find coupons is in the Sunday paper! It’s the easiest place to find coupons. All that is required is that you purchase a newspaper from your local store. Over time, I would recommend getting a subscription to your local newspaper. This is much cheaper than buying an individual paper on Sundays! Additionally this will allow you to stock up on coupons weekly! Coupons.com. This is my second favorite place to find coupons because it allows you to be pickier about the coupons you clip! On this website you “clip” the coupons by clicking on the link “clip”. The positive side to coupons.com you get only the coupons you want, need and will use. Versus the newspaper version that includes coupons from many companies, which you may never use! Check the website of your favorite stores. Target, CVS, Walgreens & Rite-Aid (some of my favorite stores) offer their own coupons that can be used in their stores only on many products! For even more savings, you can use the store coupons to “stack” with your manufacturer coupons from the newspaper & coupons.com Also, you can use coupons in addition to their sales! The coupon section is often located at the bottom bar of the website. But do you really save money? Yes! You can save A LOT of money (Think Extreme Coupon on TLC)! But here are some helpful tips when starting out! 1. Go to the store with a plan! It helps to write a list of what you want to purchase. Also don’t forget to take the sales flyer with you as sometimes the items may not be marked as listed on the flyer! 2. Stick to the budget and the above mentioned list! Don’t get distracted! Stay on task! 3. Only buy the items that you have a coupon for! If you stray and buy additional items you will go over your budget! 4. Combine those coupons with sales an other store offers to maximize the dollars you save! For example if your store offers $5 off of a $15 purchase! You can combine that store coupon with your other clipped coupons to get additional dollars off. 5. Get to know your local stores’ coupon policy! Many stores will double coupons up to $.99. (That means if you have a $.50 coupon that it will double and give you $1 in savings!) BUT many stores will also limit the number of coupons that they will allow to double. So CHECK THAT COUPON POLICY! 6. If your store has a rewards card be sure to get one as soon as you enter the store! These cards are great because stores will offer discounts to their “members”. Couponing takes time! Be patient! When you start out you may only save a few dollars BUT once you start clipping coupons, learning what your favorite stores are for deals and their sales cycles you will get the hang of it! 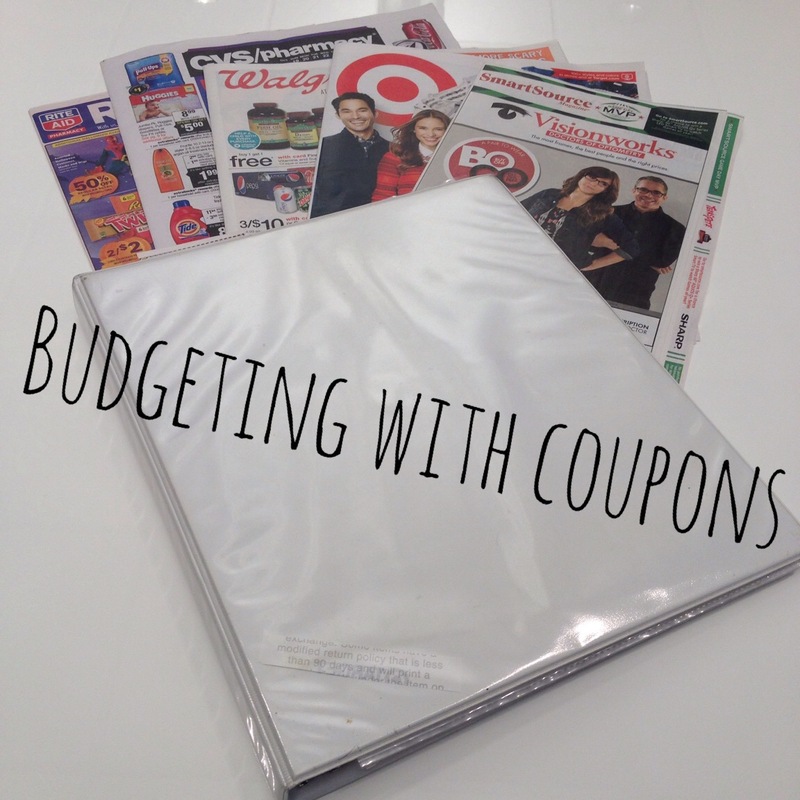 Hopefully, this helped you get started with budgeting by using coupons! Post your comments and other questions below! Every New Year we write down our resolutions with the intent of completing every single one of them. But that is where they often remain, written down and rarely acted upon. We pray to God for change… change in our careers, change in our love lives, change in our homes etc. But we don’t pay attention to the gifts/opportunities he has given us. Instead we become discouraged because, “It’s too hard”, “I need motivation”, “It costs so much money” or “I don’t have the time”. You are no further along than when you wrote out those resolutions. So today’s Call to Action is to GET STARTED! It doesn’t have to be perfect… (Apple can’t even perfect the iPhone and yet every year people wait patiently for the newest “version”…). But if you don’t get started, if you don’t take the risk, if you just sit on the Gifts God has given you then what progress can be made in helping you thru those resolutions? So today, if you have put that resolution list down, dust it off, and take the first step to completing those goals! With barely 1 week into the new year, many of us have accumulated things over time. (Dare I say we also have received some unwanted Christmas gifts) So today’s post is devoted to purging and getting rid of those things! 1. Unsubscribe from unwanted email lists. If it is of no use to you then why receive it everyday, sometimes several times a day? It only take a minute to remove yourself from their email list. For all of my Artist, Crafters, DIYer’s & Weekend Warriors … It’s a new year. You have finished making all of those DIY Christmas gifts and constructed all of the toys you will ever need to make for the children. Now is the time to focus on your own projects. It also works best if you put a time limit on your projects! Get the easiest projects done first and get them out of the studio/living room/garage! Your family will appreciate it! 3. After you have finished those UFO’s — GET RID of the scraps! As a Crafter /DIYer, I know it is hard…. But that little bit of yarn will not yield another scarf. Those little beads are not big enough to create another necklace. They are taking up space in your house and studio! 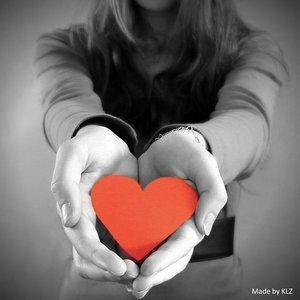 Do a good deed this year and donate them to a church, school or Girl Scout Troop in your area! They will really appreciate the gift and make good use of those scraps. Over time I will buy a food item, put it in the back of the kitchen cabinet and forget it! I swear the back of the kitchen cabinet is the equivalent to the back of your bedroom closet. Go thru your cabinets/pantry and just check the dates. Many items are still good for days or weeks after their “use by, sell by” date. 5. Clean out that Closet! This is the hardest thing because we all become emotionally attached to our clothes, shoes, makeup and jewelry. 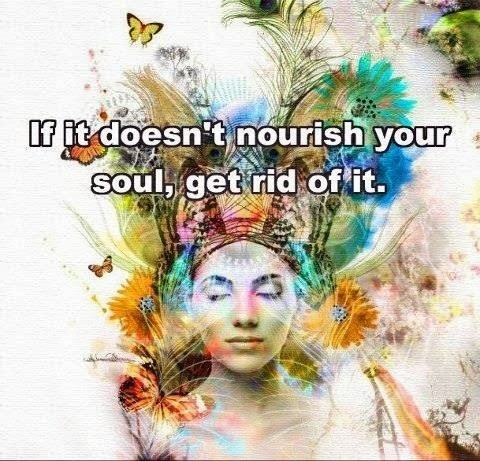 But it’s time to let go of those old items. Besides, if you get rid of a few old things you can buy a few new things! So make 2 piles – Donate & Keep. The DONATE pile will be for items that you just don’t want any longer– maybe they don’t fit, they are no longer in style or a gift that you never liked and never wore. Well one man’s junk is another man’s treasure. Plus donations are tax deductible. The KEEP pile are things that you love.. It’s pretty self explanatory. You keep what you wear, use and love. I hope this helps you in kicking the new year off to a great start! Let me know in the comments below if you have done this and how it worked for you! Seeing God’s Big Picture for Your Life! Many of us cry out to God “Why me Lord?” In the midst of our problems. But I challenge you to change your thinking in 2014! Instead of asking God “Why” ask “What”! 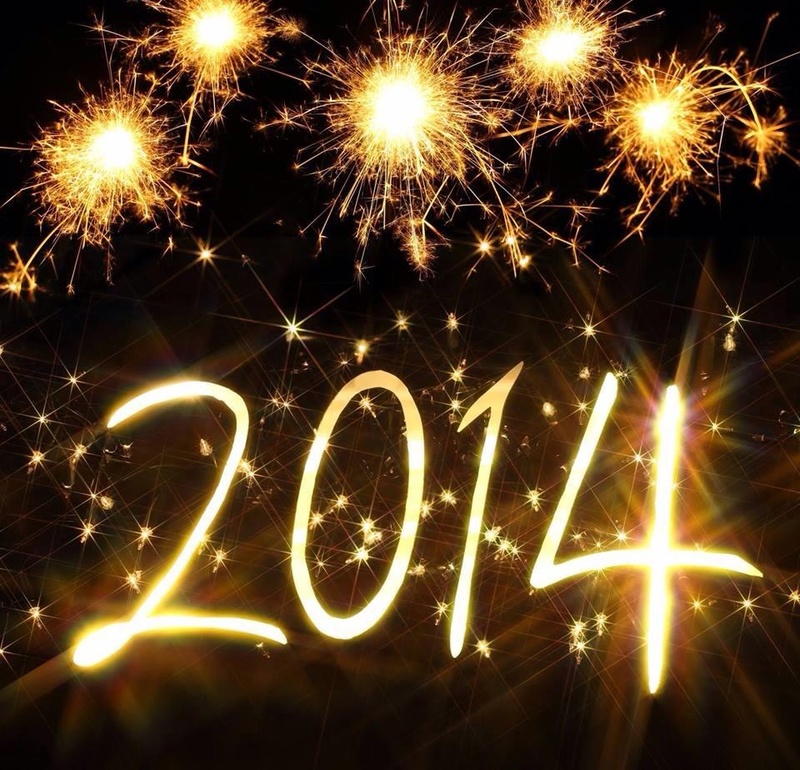 So on this New Year’s Eve, before we gather with friends and family members to bring in 2014, just take a few minutes to thank God for all of your experiences in 2013. Change your “Why’s” to “What’s” and stand in obedience in 2014 to God’s big picture in your life! I have been clipping coupons since I was a child. My mother and I would pick up the Sunday paper, eat breakfast and clip coupons. It was our ritual every Sunday! I have continued this well into my adulthood and now with the increase of coupon sites, shopping blogs & coupon clipping services the opportunities extend well beyond the Sunday Paper. Let me preface this by saying I am by far NOT an Extreme Coupon shopper. I will say on average I usually save around 50% of the original bill using coupons and the frequent shopper cards. 1. If the store has a frequent shopper discount card — GET IT! You can’t go wrong with this. When I walk into a store I ask if they have one and if they do I take the application and fill it out before I get ready to check out. Then I turn the application in to Customer Service and receive my card. You can also do this at the register. But ask first, you don’t want to be the one holding up the line! I don’t mean to physically take inventory, I mean know whether this location has everything that you want or if they don’t. Remember all stores are not created equal. It is key that you visit the store’s website to check out their coupon policy. Many stores will double coupons up to 99cents, while others may double up to $1. They may also specify the number of duplicate coupons you can use or the number of coupons they will double. Once you have clipped your coupons you have to organize them. I do not have a large binder and to start with I wouldn’t recommend you do that either. Often just to start out you should just use an envelope or find a small accordion file folder to help separate the different categories of coupons. Also its important to look at the date. Many coupons expire in 1 months time. I constantly refresh my coupons moving my “soon to expire” coupons to the front. Your strategy is where you will stay focused on what it is that you want and where you are getting the particular items. It is very important that you do not get distracted. Stay on task and you will save money! Remember if you don’t have a coupon for it you should wait on it! 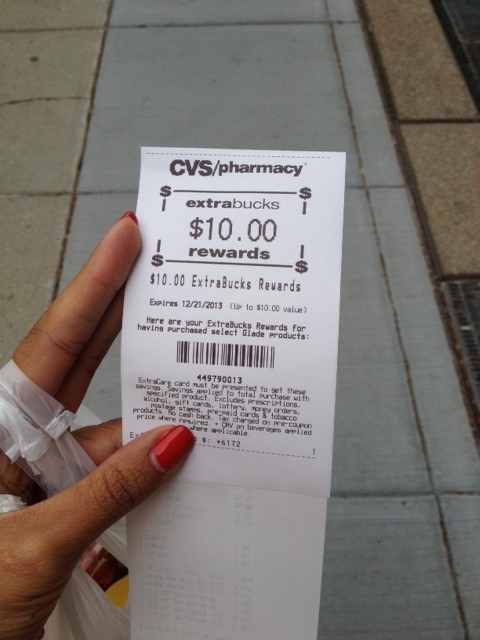 So this week I have been having an extreme coupon experience at my local CVS. I work in the DC area and I am surrounded by 5 CVS locations, 2 of which are at opposite ends of my office building 1 block apart. Reflecting back on tip #3 each location has its pluses and minuses. So I started to make a plan. Step 1 – I always get the coupons from the person at the front desk in the building. After I take out the coupons I want, I always share with a coworker by giving her the remainder coupons. Step 2 – Obtain a sales flyer from CVS and do a “walk thru” to see if either of the 2 CVS locations carried the items I wanted. I knew I wanted home scented items like glade candles and plugins and that I wanted makeup. One CVS location has a fantastic beauty section and a horrible home goods section. While the other store had a great home goods section and a mediocre beauty section. 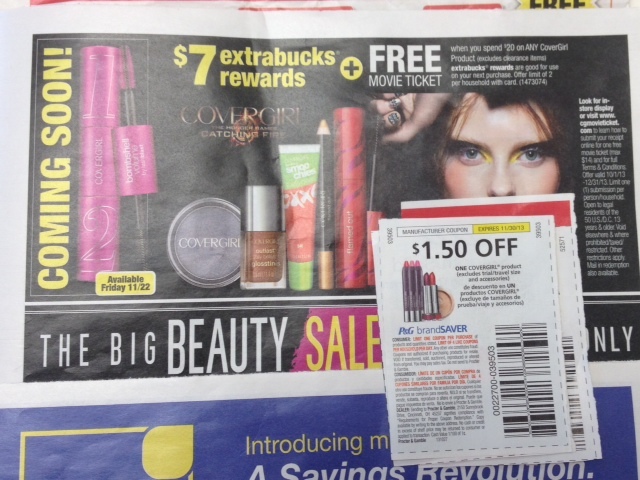 Step 3 – I separate my coupons by the deals advertised. 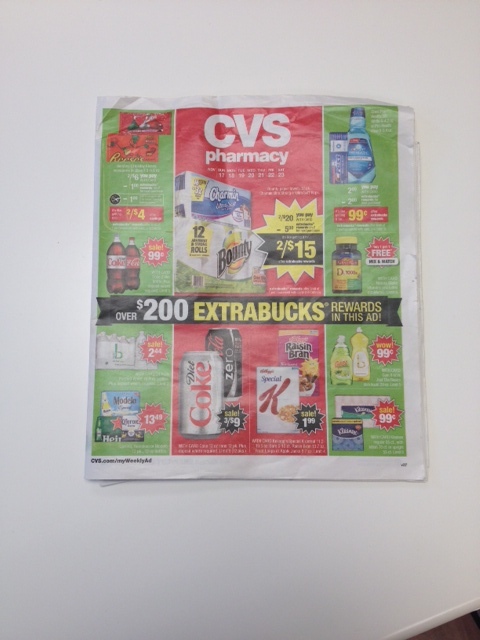 Meaning that I take my coupons and group them by deal and clip them to the CVS sales flyer. This way I can stay focused on what I want and I am not searching for coupons while in the store. Step 4 – Before I enter the store I have to have a plan of attack! In this case the best deal was for Glade scented items. The deal was to purchase $20 worth of goods (pre-tax) and in return I would get $10 in the form of Extrabucks to use later. Now if you are not familiar with CVS and extrabucks you can use them on ANYTHING in the store, BUT you have to have a frequent shopper card. And there it is! My $10 voucher. Now for the minor details. So what next??? Of course you take this $10 and you buy something else. And since I knew that Cover Girl was offering the next best deal that is what I did. Also unlike Glade, Cover Girl allowed 2 rewards per household. Now you are probably asking why didn’t I just do one transaction … Well for one thing I don’t need that much Cover Girl makeup, I only had a few Cover Girl manufacturer coupons and one of my coupons was giving a weird error which I couldn’t fix until later, resulting in 3 separate transactions. Good news though I combined the $10 in extrabucks with my $4.50 in manufacturer coupons to buy 2 Nail Polishes and a lip gloss for $4. After my coupon mishap was fixed (thats why you make friends with people in the store) I did spend an additional $9 for 2 quad eyeshadows. So in total I spent $38 for 2 Cover Girl quad shadows, 1 CoverGirl Wet Slicks lip gloss, 2 Cover Girl Nail Polishes, 2 Glade candles, 2 Glade plug-ins, & 2 Glade wax melts. When I went over the receipts, if I wouldn’t have used ANY coupons/extrabucks etc I would have spent $60. Oh and I still have a $7 extrabucks voucher to use!! – CVS is still pretty expensive compared to say Walmart or Target… But really not by much. You pay for convenience when shopping at CVS and in DC you have to travel quite a bit to find a Walmart close to a Metro line. And since I don’t have a car the extra time it would take to get to Target or Walmart is just not worth it. – When comparing prices and policies Walmart only differs anywhere from a few pennies to $1 on certain items. Then they don’t double coupons nor do they offer specials. I would advise you to shop around, if you can to see what works best for you. While I won’t be at CVS everyday when I see a deal I go for it! So for your basic grocery stores a lot of the same tips can cross over. Check the coupon policy, canvas the store and look at their selections. You still need to plan out what you want. If you don’t have a coupon DON’T BUY IT! Some grocery stores also offer the coupons “save $5 when you spend $50” (or something along those lines). If you can get your hands on those then do so but be prepared to have multiple transactions. I hope this helps you save lots of money! Be sure to comment below about your shopping experiences with coupons, any sites that you use, any other tips and if this helped you at all be sure to share with your friends and family members! Are you ready!!! I mean really ready!! Super Shoppers have been saving months for that special day! No it’s not your birthday! Now is it me… or does every store stay open on Thanksgiving Day to rack in the sales! Let’s face it Black Friday is the biggest shopping day of the year! This is the day that many stores make their year (financially). Now I know if you watch the news then you have heard the argument that stores shouldn’t stay open and let the employees spend time with their families. While I support family time… I am 10+ hours away from my parents and other relatives. So I won’t be going “home” for the Thanksgiving break! And I am sure that many people live a large distance from their family and would rather stay-in versus travel on the road for long hours. Plus many of the workers earn extra pay/time and a half/double pay for coming in to work! I will be here in DC with my new “family” consisting of friends, neighbors and co-workers. At the end of the night after we have slept thru our turkey coma… we go shopping! So to get you in the spirit of Black Friday I will share with you some of the flyers and links that are available for preview!! The people at Wal-Mart have done it again! With 16 days (and counting) before Black Friday they have already posted their deals! There are plenty of electronics, toys, home goods/decor items etc for you to choose from. You can even have the deals emailed to you! Wal-Mart will be open at 6PM Thursday night! If you are an electronics junkie plan to spend LOTS of time here! Can’t wait to see the people camped out in tents to get the new Play Station One! They will also be open at 6pm for your shopping pleasure! So are you a Black Friday Shopper! Post your comments below about your Black Friday Experience!